Late Friday night, the Colorado Air Quality Control Commission (AQCC) passed new state regulations to restrict air pollution from oil and gas development and to require increased monitoring for leaks. These regulations were a positive step forward in addressing Front Range ozone pollution but will not apply to the rest of the state. The Air Quality Control Commission has, however, authorized a two year study and stakeholder process to determine if additional state air quality restrictions should be applied statewide. Members of Western Colorado Congress, and Mesa County-based Citizens for Clean Air, traveled to Denver on Thursday to request that proposed state air quality regulations for the oil and gas industry be applied to the entire state. Karen Sjoberg, from Citizens for Clean Air, warned that the Grand Valley is already suffering from poor air quality on some days, and increased oil and gas development proposed for the valley will make that worse. “Ozone levels in the Grand Valley have not reached levels that would bring an official EPA declaration of nonattainment and we would like to keep it that way. And in fact, we would like to keep ozone levels low enough to not have significant effects on human health and agricultural productivity. Substantial epidemiological research suggests that levels above 60 ppb affect both negatively. According to data collected by the CDPHE in 2016 at several sites around the Grand Valley, Mesa County experienced multiple ozone spikes of greater than 70 ppb with a high of 85.8 ppb. Peggy Tibbetts, a resident of Silt, also asked that the new regulations be applied to oil and gas development in Garfield County. Tibbetts also mentioned that the state has been allowing oil and gas development next to homes on the Western Slope, increased monitoring for leaks is an important safety precaution. 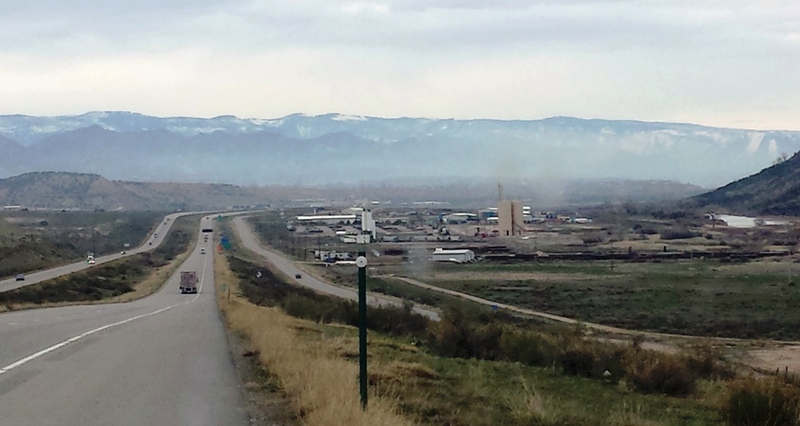 Western Colorado Congress Director Emily Hornback was concerned that local elected officials, including Mesa County and Garfield County commissioners, went on record to oppose additional air quality protections on the Western Slope. COGA’s Dan Haley stretched the boundaries of reason and good judgment with his comment. … Colorado Oil and Gas Association president Dan Haley told the eight commissioners present that the industry “strongly encourages” them to adopt the rules with minor adjustments and only apply them to Front Range facilities. He must have been joking, right? I am stunned and disappointed that the AQCC chose to place a higher priority on air quality for residents in the Denver Metro and Front Range area than anywhere else in the state. Our West Slope delegation (Emily Hornback, Karen Sjoberg, Charlie Post, Kathy Slaughter, Steve Silveira, Diane Miller, Matt Sura, Peggy Tibbetts) made news as we lobbied hard in favor of regulating emissions on oil & gas operations as a statewide priority. The last thing we need is a two-year study. We already know how bad our air quality can get. But all it takes is for the oil & gas industry to whine about the costs and the state bows to their demands. Ursa’s accelerated drilling plans in Battlement Mesa increases emissions and puts everyone’s health at risk. Air pollution doesn’t respect boundaries. Those commissioners are well aware of that. And that’s what makes this decision so blatantly in favor of the industry. Even Mesa and Garfield County commissioners testified against protecting public health and promoted saving the industry money. Once again the state feeds the growing distrust its citizens have of their local and state governments. Thanks to all Coloradans from Grand Junction to Greeley who took precious time out of their busy lives to speak up for clean air. Even though we didn’t win this round for the entire state, we will never back down from our efforts to breathe clean air.